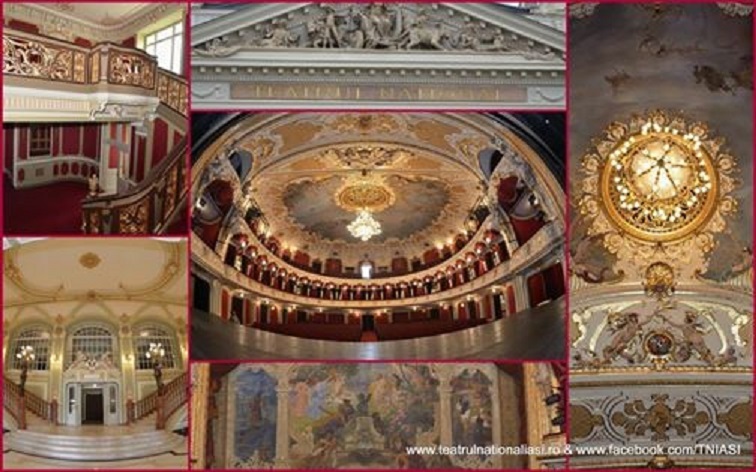 In the top “Seven theatres that take your breath away”, produced by the BBC British Television, in 2015, “Vasile Alecsandri” Național Theatre is classified as the second, following the Bristol Hippodrome Theatre of Great Britain. 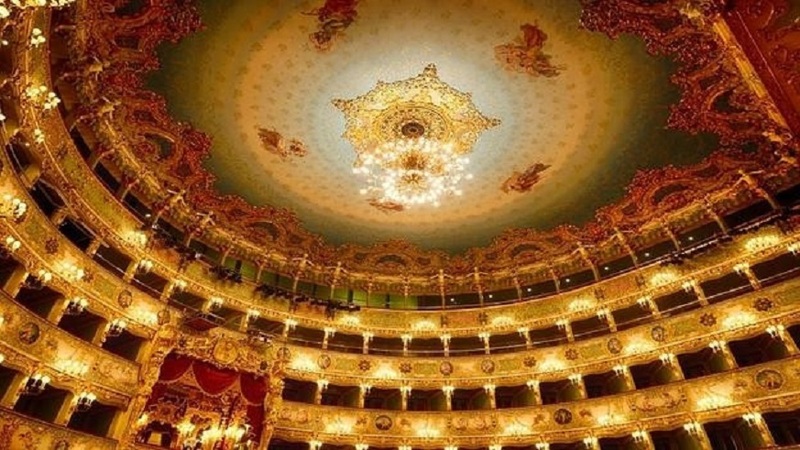 The top also includes: Olimpico (Vicenza) Theatre, Teatro La Fenice (Venice), Palais Gariner (Paris), Globe Theatre (London), War Memorial Opera House (San Francisco). 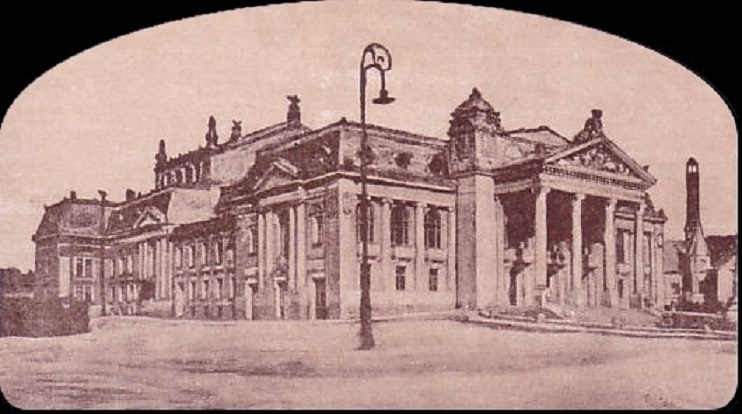 The theatre building, architectonic masterpiece that includes more artworks was designed by the Viennese architects Fellner and Helmer, who designed similar buildings in Vienna, Prague, Odessa, Zürich. The Big Hall, having 740 seats organized in stall, loges and balcony, is impetuous and is remarkable by the refinement and grandness of the main painting and sculptural ornaments, inspired from baroque and rococo ages. The main Curtain, painted by the Viennese Master M. Lenz, shows two allegories with the following meanings: the first - the three ages of life, and the second – the unification of the Romanian Princedoms (Moldova, Transylvania and Wallachia). The Iron Curtain, painted by Al. Goltz, is full of ornamental motives ordered in a perfect symmetry. The Ceiling, painted also by Al. Goltz, shows paradisiac scenes in pastel colors, nymphs and angels surrounded by an impressive stucco work in rococo style. Above the orchestra pit, the blazon of the four Romanian provinces is painted, each with their heraldic marks. In a parallel plan, we can distinguish the Royal emblem, with a more clear visibility over the scepter. It must be noticed also the Venice Chrystal Chandelier, lighten up by no less than 109 lights, that complete the light of the 1418 electric lamps, conferring the theatre a special luminescent personality. Iași can be proud with such a monumental masterpiece and the tourists are advised, that once arrived in the area, to include on their list of visiting items aslo this “Vasile Alecsandri” Național Theatre.